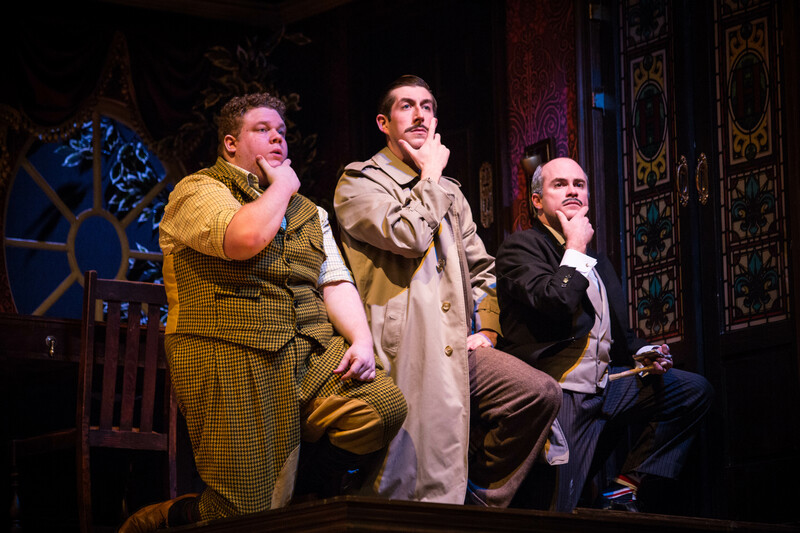 Review: The Play That Goes Wrong. (touring) Curve Leicester. – East Midlands Theatre. 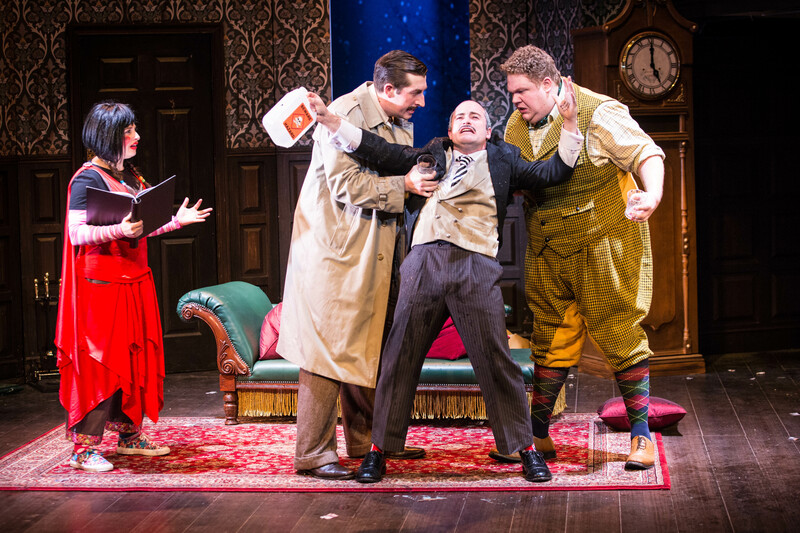 As Leicester is a diverse city renowned for its hosting and love of comedy events, coupled with International Happiness Day, what better way to chortle away the evening than watching the hilarious antics of the cast in The Play That Goes Wrong at Leicester Curve. From its humble beginnings In 2013 as a one act play at The Old Red Lion Theatre, The Play That Goes Wrong by Mischief Theatre has gone crashing about from strength to strength establishing itself to be a long runner in the West End ultimately collecting the Olivier Award for Best New Comedy. The ex LAMDA creators, Henry Lewis, Jonathan Sayer and Henry Shields must be very proud to also have received the What’s On Stage Award for Best New Comedy and the Broadway World Award for Best New Play. And now a touring production of this brilliantly funny show is playing at Curve Leicester until Saturday 25 March. It is comedy mayhem at its best and superbly directed by Mark Bell with a falling down set designed by Nigel Hook. The entire funny and very talented cast work relentlessly to make us laugh and this is one production where the saying ‘a laugh out loud show from start to finish’ is a perfect description. Their comic timing in all regards is absolutely spot on. The touring cast are as follows; Graeme Rooney, (Trevor) Katie Bernstein, (Annie) Patrick Warner, (Chris) Jason Callender, (Jonathan)) Edward Judge, (Robert) Edward Howells, (Dennis) Meg Mortell, (Sandra) Alistair Kirton, (Max) Natasha Culley, (Clire Rice) James Watterson, (Arthur Ingleberry) Helena Muir (Doris Henderson) and Matthew Howell (Jimbo Jones). As plays about theatre go this is one of the funniest shows this reviewer has ever seen and brilliant though Noises Off is, The Play That Goes Wrong is miles funnier. Very highly recommended. You can’t go wrong with this one. It’s murderously funny. This reviewer nearly died laughing.